How to I connect a "thing" to the Assetwolf IoT portal using Secure MQTT? 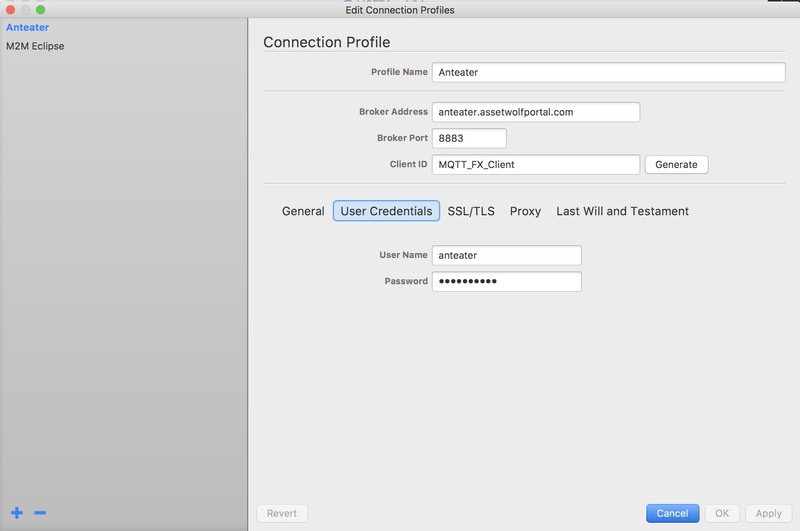 Assetwolf can accept a secure SSL/TLS connection over MQTT from remote devices. To illustrate how this is set up, here is a simple method in which we use the MQTT.fx program to imitate the device. Your device will need to connect on port 8883 (instead of 1883 for insecure connections). Go into your portal's Setup area and download the tribal_ca.crt certificate file. 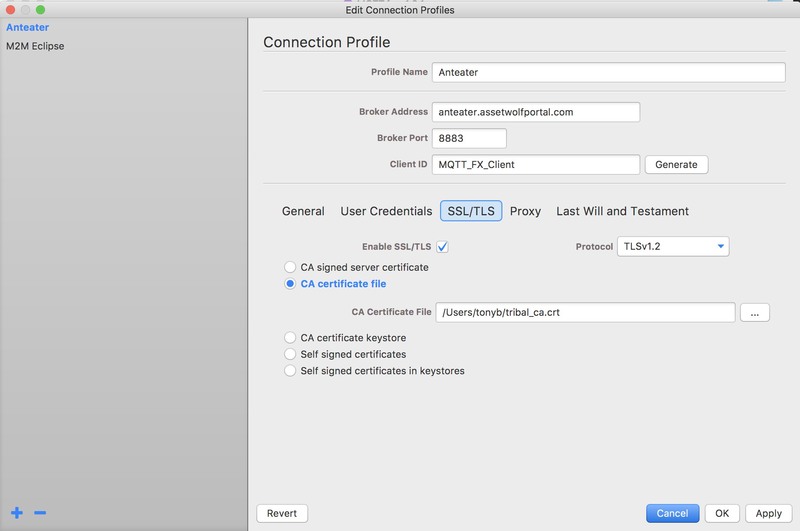 The standard Assetwolf secure connection uses this certificate. Save this file locally, in such a way that you are able to put a copy of this on each of your devices. After doing this, click Apply to save the settings, and then Cancel to leave the screen. Now test the connection, in this example by pressing the Connect. You should see a green dot with a padlock showing the connection is secure. That should be enough to make a secure connection. You should then be ready to set your Publish and Subscribe topics in the usual way, and then send and receive data securely.